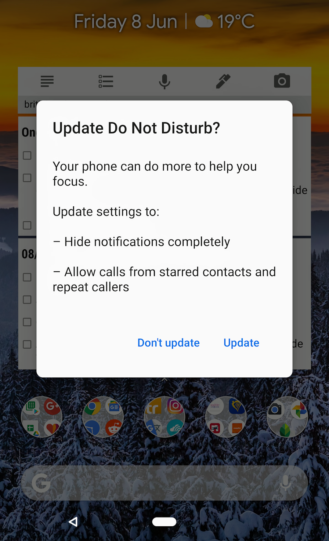 Do Not Disturb mode is an increasingly vital part of the Android OS as far as I'm concerned. 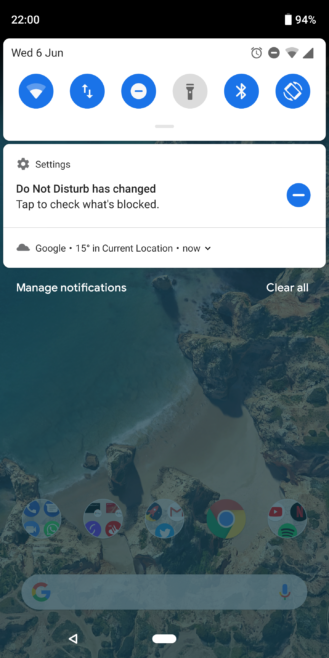 Advanced "digital wellbeing" features are all well and good, but the simplicity of being able to tell my phone to shut up for a little while is something I'm using more and more. It seems that every new version of Android alters how DND works — sometimes for the better, sometimes worse. 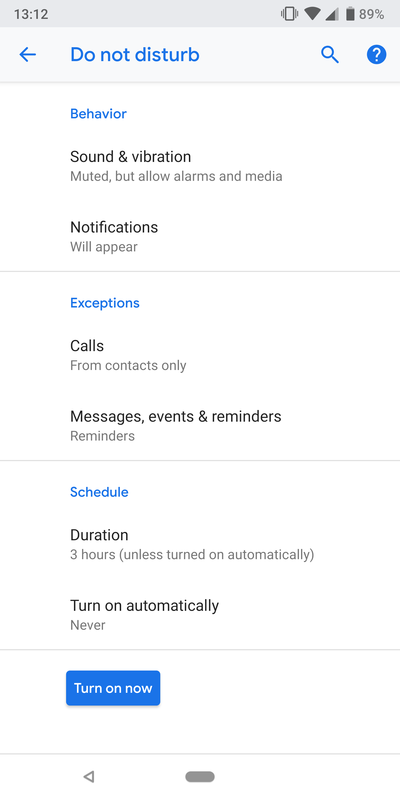 Google has made significant changes to DND in each Developer Preview of Android P, and the latest beta makes further alterations and includes a new notification to warn you of certain differences. In the first developer preview, widespread modifications to the DND configuration were introduced. This simplified it down to just a single mode and opened up the customization options so you could have greater control over its behavior, such as what happens when the screen is on or off. DP2 brought even more options, including blocking visual disturbances relating to notifications. 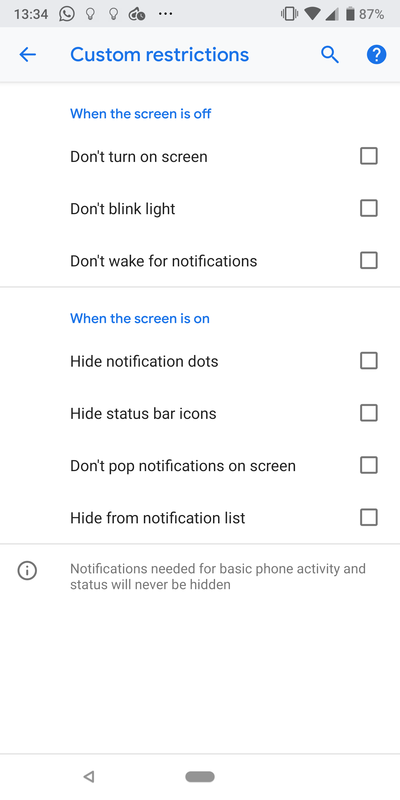 You could set notifications to be completely hidden while in DND, for example. DP3 offers further refinements and simplifies the choices somewhat. 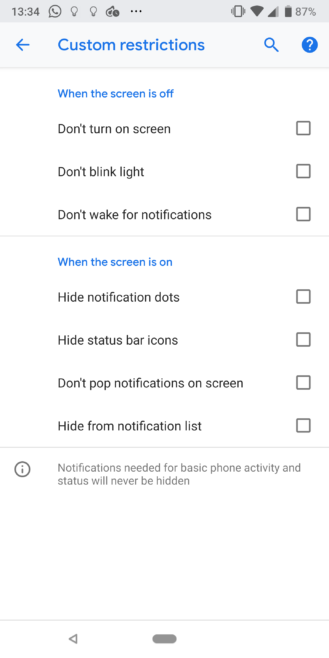 By default, you get less granular control over the blocking of visual disturbances now, only choosing whether notifications are shown silently (but still visible) or hidden entirely. The advanced menu from DP2 is still present, however, hiding behind an "Enable custom setting" option in the overflow menu (above). This probably makes sense, since it's more of a power user type thing. Not much else has changed in terms of settings, other than a reorganization of the main DND menu (above left). 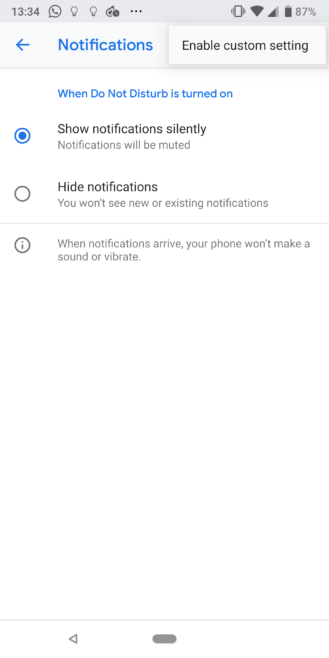 To alert users to the new settings, there's a new notification that some have been seeing, myself included. 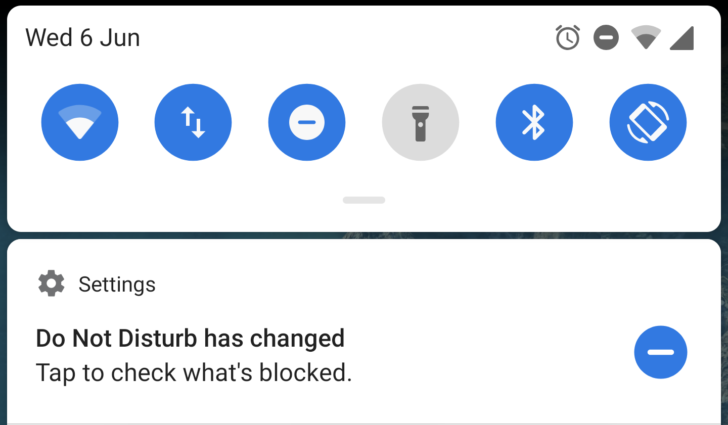 The first few times I enabled DND after updating to DP3, I got a notification (above right) warning that "Do Not Disturb has changed" and inviting me to review the settings. We've also had a tip from a reader about an unprompted popup (below) that serves a similar purpose and gives you a bit more information about what you could update your settings to achieve. Although Google has clearly gone back and forth on what it thinks DND should do and how it should be controlled, I would hope the current behavior is pretty much the finished article that we'll see when the final version of Android P is released later in the year. However, with two more developer previews to go between now and then, it wouldn't be a huge surprise if Google makes additional changes.